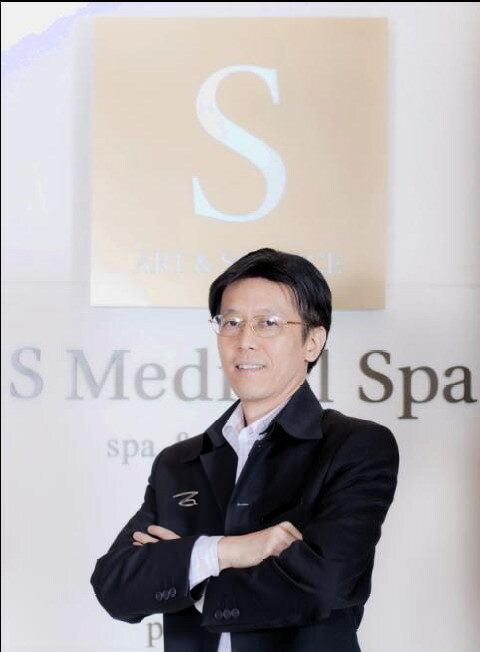 Dr. Ekkamolkul is one of the medical doctors at S Medical Spa in Bangkok. He practises self-awareness and believes strongly in the middle way to help us deal with whatever life throws at us. Living in the world today seems to be always thinking, leaving you feeling tired, stressed and confused. What can we do to ease our daily life in such a busy world? Self-awareness training can help you calm your mind. Instead of being preoccupied with problems and having your mind constantly racing, teach your mind to be calm and peaceful. This way you will feel happier and better able to cope with all that life throws at you. First, close your eyes and concentrate on your breathing. Start with deep and slow breathing. This is a way to meditate and it will help stop the thinking process and bring you to the world of self-awareness. Always try to turn the negative into positive and bring extremes back to the middle, or optimum, way. The middle way is the true path to not only a healthy mind and body but also for society and the environment. Balance of all things will maintain good health. Imbalance will cause sickness. The middle way should be striven for – to return to general good health. Noi doesn’t do any exercise and works too much. She always has colds and the flu. She would feel better if she exercised a little and cut back on her work load. Vit is old but he chooses to exercise by running fast. This is too much for Vit and he gets knee pain. It won’t go away until he changes his exercise regimen but he chooses not to do so. Det likes to eat, especially sweet and fatty foods. He becomes obese through over-eating, leading to high blood pressure, knee pain, joint pain, high cholesterol and increases chances of having a heart attack and paralysis. Sitt is a workaholic, always intense and nervous. He never eats regularly and develops gastric disease. Sak is an habitual who even drives when drunk. One day he has an accident in his car and suffers brain damage. Noi, Vit, Sitt and Sak have extreme life styles – too much or two little – which have caused sickness and suffering. Naree is a nervous lady who has extreme mood swings until she has cerebral haemorrhage and become paralyzed. Sri worries about what other people are thinking and whether she is bothering them. She becomes tense, suffers from insomnia and is always tired. Nud is a perfectionist and is always demanding too much from her family, friends and colleagues. Being competitive, she is always disappointed when they fail to live up to her expectations and high standards. Constant disappointment and anger can cause heart disease. Extreme out-of-range habits should be adjusted to the middle way. Life should not be too demanding or stressful, too aggressive or passive, too much or too little socializing. Samon is a mother who stopped work when her first child was born. The child is always sick and has trouble eating and sleeping. Samon gets very little sleep – so she is tired and sick, too. She needs help with looking after the baby but her husband has to work overtime to make up for the loss of her salary. Eventually, she finds someone to help look after her child and the sickness is cured. Balance is restored to her life. Family problems can be worsened by lack of communication, understanding and love. Aggressiveness and making others take the blame for our own actions cause guilt and anguish to our loved ones, friends and colleagues, which, in turn, makes us isolated and unhappy. Society as a whole has many problems – low morality, injustice, divisions between people who have and people who don’t have a decent lifestyle, housing and work. Unfortunately, the very thing that makes us forge forward is also the source of our problems and not all of us can actively live the middle way completely – but we should at least attempt it when we become sick to give our bodies a chance to heal. If we can actively live the middle way, we can prevent sickness. Actor Edward Norton and Sir Richard Branson are among a number of prominent international environmental leaders who will be speaking at the third annual Six Senses SLOWLIFE Symposium held at Soneva Fushi in the Maldives from Oct. 6-9. Edward Norton, an environmental campaigner, will be discussing the benefits the tourism industry can bring to local eco systems, wildlife and communities, using examples from large wildlife reserves that might otherwise be developed as mines or farms. Sir Richard has been invited to talk about the challenge of a changing environment to his businesses and the need for Virgin to evolve rapidly to meet these changes as well as the steps he’s already taking in his business and through organizations like the Carbon Tax Room. This includes alternative fuel sources and new technologies to power Virgin’s trains and aircraft. 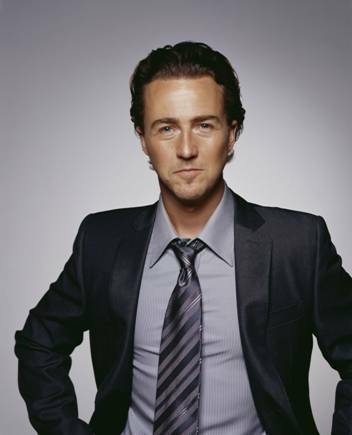 Both Sir Richard and Edward Norton will join President Nasheed of the Maldives, the symposium’s keynote speaker. Other guests include Sonu Shivdasani, chairman and CEO fo Six Senses Resorts and Spas. Focus of the symposium will be on the role tourism can play in implementing “best practice” on both the local and global scale and how policy makers and business leaders can form an alliance, particularly to support small island states. Look for continued strength in business travel during the second half of 2011. The good news comes from Accor, and is based on a survey of some 10,000 travellers who made business trips during the first six months of 2011. Singapore and Hong Kong can expect to be the two most frequented destinations by business travellers during the balance of the year. Thailand and China ranked third. Asia Pacific-based travellers who took part in the survey made an average of 6.3 trips in the first half of the year. The volume is expected to continue in the second half with an average 6.2 trips. Most frequent travellers – executives from China (8.7) trips; India (7.3 trips); Singapore (7.1 trips); and Hong Kong (6.8 trips). Business travellers from these countries still top the list during the next few months, with only Singapore and India swapping positions. What’s important to these travellers? For 50% of respondents, location is king – right across all regions. Price, positive, past hotel experience and hotel brand also rank high on the list. The Chinese were the only travellers who cited loyality programs as one of the three key influencers. Average budget was US$121. Business travellers from Australia have the highest budget at US$158, followed by Singapore at US$134 and Hong Kong at $132. In terms of bookings, online sources dominated reservations, with hotel-branded websites (57%); and third party online agents (26%). Main reason – convenience (67%); possibility of special offers (63%); instant confirmation (62%); ability to see the hotel’s facilities (56%); and easier management of the booking process (52%). When in comes to competitive rates, business travellers from India (62%), Indonesia (56%) believe that hotel-brand website provide the most competitive rates, while New Zealanders (52%) and Australians (50%) and Thai travellers (45%) believe that online independent travel sites offer the best rates. Worth Noting: More than 60% of business travellers are more likely to choose a hotel that’s more environmentally conscious and 59% are even prepared to pay a 10% premium. Female business travellers (66%) were prepared to choose a hotel on this basis. In half of respondents, efficiency was the top reason for making their choice of a hotel. Business travellers were also asked what room facilities they expect hotels to introduce by 2014 – online check-in/out (50%) and online booking for hotel facilities topped the list. Accor is the world’s leading hotel operator with more than 4,200 hotels and almost 500,000 rooms in 90 countries. It is also a major player in Asia Pacific, where Accor has 446 hotels in 16 countries – Australia, Fiji, French Polynesia, Cambodia, China, India, Indonesia, Japan, Korea, Laos, Malaysia, Philippines, Singapore, Thailand and Viet Nam. Accor partnered with Cimigo Ltd., a research consultancy in Asia Pacific to conduct the survey. The spa at Four Seasons Resort Chiang Mai has introduced two new treatments inspired by the resort’s natural surroundings and Thai wellness traditions. The Lanna Tok Sen Ritual is an ancient massage technique that traces its roots to the Lanna region of northern Thailand. The techniques of Tok Sen, which means “to tape the meridians”, have been used for generations to release energy blockage and stimulate circulation. An instrument made of wood is lightly tapped along the body’s meridians to create soothing vibrations. The ritual combines this rhythmic tapping with a prai essential oil massage that uses effleurage and kneading techniques to leave the body relaxed and balanced. The 90-minute teak wood massage in incorporates blended herbal oils and carves implements made of smooth teak wood to stimulate the body’s pressure points. The carved pieces of teak are each designed to target a different area of the body. They are rolled over the muscles to heat deep-seated tension and pain. A choice of Thai herbal oils help leave the body soothed, rebalanced and free of tension. 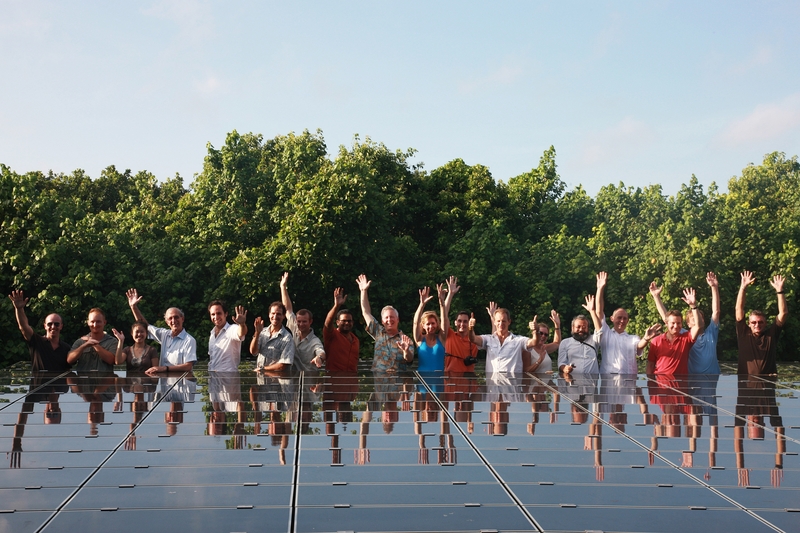 CONSIDER THIS: Tourism does do much good for sustainability. If it weren’t for tourism, most of the fantastic reserves in South Africa or Nambia would be mines or farms. The land would go to waste. It would be stripped of lumber. Animals would be killed or eaten. The thing we can do as individuals is to try to make tourism sustainable. Six Senses has a voice within the travel and tourism industry and we want to use our voice to encourage every level of the industry to be more sustainable in its choices. The travel and tourism industry needs to do more. We want our findings to reach the heart of the industry, going right back to investment and development stages. The comment comes from Sonu Shivdasani, CEO and chairman of Six Senses, talking about the third SLOWLIFE Symposium, where he will be one of the featured speakers. Six Senses will be host to the symposium, to be held at Soneva Fushi, Maldives, Oct. 6-9. The symposium will be attracting world-leading thinkers, policy makers and business leaders as well as government ministers. They will be confronting the principal challenges facing the travel and tourism industry, including low-carbon infrastructure, transportation, resort management and threatened biodiversity. Attendees will also be discussing ways that the tourism industry, small islands and tropical states can join forces to mutually secure prosperous and sustainable economic futures. Other speakers include: David de Rothschild, adventurer and environmentalist; President Nasheed of the Maldives; Jean Ballandras, secretary-general for the Reunion Islands: Tim Smit, co-founder and CEO, Eden Project; Fabien Cousteau, grandson of Jacques Cousteau and founder of Plant A Fish; Chris Gorrell-Barnes of Blue Foundation; and Mark Lynas, author and climate change adviser to President Nasheed. Sonu Shivdasani has a number of other goals for the next decade. These include: Recognition of Six Senses properties as the top 10 best places to work worldwide and creating the Six Senses Foundation to manage the group;s philanthropic endeavors. One developing community was recently given a wind turbine to reduce dependence on traditional power sources. Six Senses also has strong community programs in every location in which it operates. You can join the symposium online at www.slowlifesymposium.com (live from early September) or via Twitter @SLOWLIFEsym. 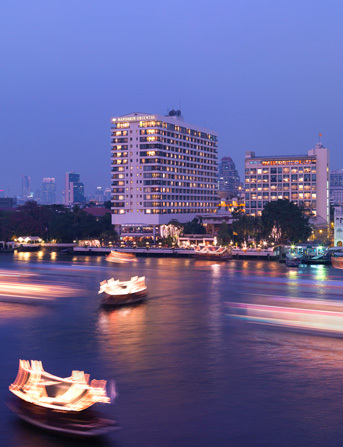 Four Seasons Hotels Thailand has its own version of the Grand Tour – once a rite of passage for European gentility – that enables guests to discover the sights and sounds and the culture and history of Thailand. The tour starts at Four Seasons Hotel Bangkok and the hustle and bustle of one of Asia’s most dynamic cities and from there to the serenity of the green rice fields, rich Lanna culture and Buddhist temples with a stay at Four Seasons Resort Chiang Mai. Then south, to the island paradise in the shade of coconut palms at Four Seasons Resort Koh Samui, before heading north again where guests can learn the elephant-driving skills of a mahout at Four Seasons Tented Camp Golden Triangle. Each tour of Thailand package includes a US$300 Four Seasons gift card that can be used during your tour or at any other stay at a Four Seasons hotel or resort around the world. On the tour, guests can use the gift card towards learning the secrets of Thai cuisine at the Cooking School at Four Seasons Chiang Mai; a homemade Samui coconut scrub at the Spa at Four Seasons Resort Koh Samui; Bangkok’s most popular brunch at Four Seasons Hotel Bangkok; or a day trip from Sour Seasons Tented Camp across the border into neighboring Burma to see a different way of life. British, Canadian, Australian and New Zealand travelers are more casual about purchasing travel type of insurance than are Americans or Europeans. Their government health plans, with all their faults, are always there for them, and many people rarely think about private health insurance. This is spite of the fact their coverage is of no help when you are out of the country. The concept of the “uninsured patient” is not part of the British, Canadian, Australian or New Zealand experience. Neither is the phenomenon of patients being turned away from hospitals if they have no insurance or cannot document their coverage. But if you are taken ill or injured in a foreign country and don’t have travel insurance, you are an uninsured patient and may have trouble getting care. 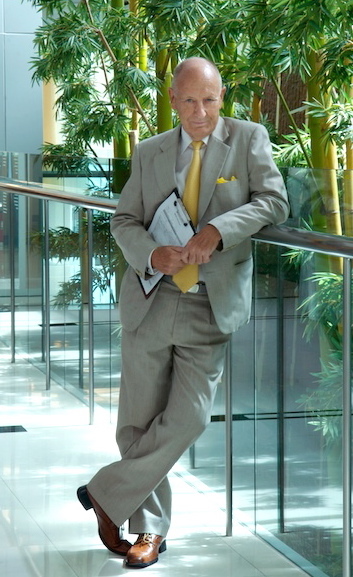 Robert Jackson was looking forward to his visit to South East Asia, spening several months planning his trip, reading the history of the countries he would visit and creating a demanding schedule for himself. He was planning to travel to the less visited areas in Northern Thailand and visit as many of the holy sites as he could cram into his schedule. He had not had any serious illness for several years and his Family Doctor and the local hospital had taken care of all his minor Health problems. He did not obtain any travel insurance. He had many plans and certainly wasn’t planning on visiting the Intensive Care Unit of the Bangkok Hospital, or spending over 48 hours unconscious, or having multiple surgeries. Nor planning on intensive rehabilitation but that’s what he got. In spite of the fact that he was not too agile and had never ridden a motor-bike in over 10 years, he decided to rent a motorbike and ride around the back roads in Thailand. A truck that he was following too closely suddenly braked. Robert flew through the air and landed on his face in the road. Fortunately he was transported into the city quickly and brought to the Bangkok Hospital Medical Center, a tertiary care JCI Accredited facility. As he was unconscious, he was admitted to the Neurological Intensive Care unit. His family was contacted and consent for treatment obtained. They were not aware if Robert had any private health insurance and were reluctant to guarantee payment for the care. In spite of this, he received excellent care and is now on his way to full recovery – after multiple surgeries for his facial fractures and skin grafting to other wounds. He was obliged to take out a considerable bank loan to cover his care. Melanie Albert was working as a volunteer in a children’s care home in Cambodia. After eating a very spicy dinner one evening, she started to have abdominal pain. Thinking it was indigestion, she initially ignored the pain but by the following morning realized that this might be something more serious than an upset stomach. She had not obtained any insurance when she left Canada and naively thought that the province would cover her medical expenses while out of the country. After been seen in the clinic she was flown to Bangkok. A diagnosis of Appendicitis was made and she had an operation on the same day. Her family came out from Canada and were able to have funds transferred to cover the cost of her care. She was particularly fortunate as she was able to get to Bangkok on a commercial flight. If she had needed to have a special air-ambulance the cost would have been enormous. One of the features that’s always included in travel insurance is evacuation insurance, which covers the cost of being transported to a good medical centre close to your accident or where you were taken ill. Recently another British patient needed to be transported back home after surgery and intensive care treatment for a collapsed lung, which happened quite spontaneously and without warning. He needed a nurse and a doctor to travel with him as he was taking anti-coagulants and there was the possibility that he might need extra oxygen on the flight. He was flown from Bangkok to London; he traveled business class with his two attendants. Luckily he had good coverage for this very expensive journey. Bandara Resort and Spa, Koh Samui, has been awarded a Certificate of Excellence by TripAdvisor in recognition of the resort’s on-going excellence in performance and service. 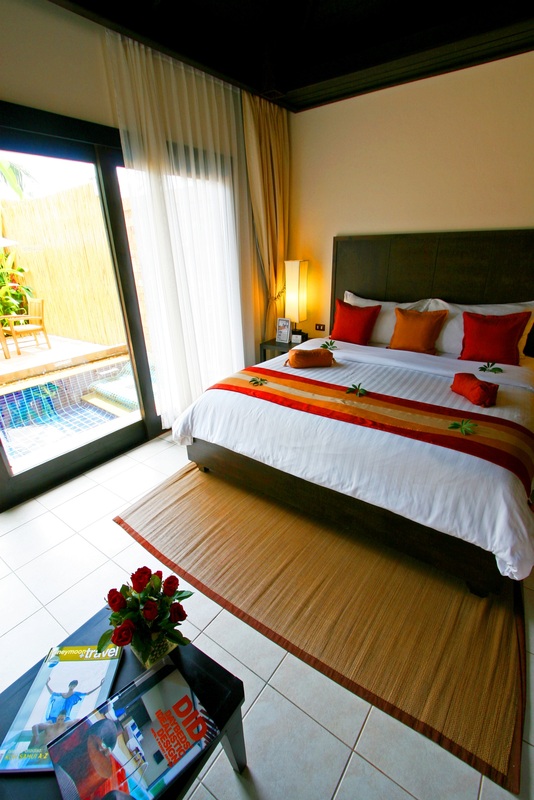 Bandara Samui received 134 “excellent” or “5-Star” ratings from paying guests. “The tripAdvisor Certificate of Excellence program gives exceptional businesses in a variety of industries around the world the recognition they deserve,” said Christine Petersen, president of TripAdvisor for business, in making the presentation. The award also signifies that Bandara Samui has joined an elite group of businesses who have achieved this standard of excellence, she said. Mandarin Oriental Bangkok and one of Bangkok’s premier executive health clinics have teamed up to offer a Wellness Retreat Relaxation package. The package includes luxury accommodation at Mandarin Oriental (a superior riverside room or at different rates, an authors’ suite); return limousine transfers with fast track arrival assistance; daily limousine transfer to and from the selected executive health clinic; daily breakfast for two at Riverside Terrace; a customized dietary dinner for two at the Sala Rim Naam Thai restaurant; and one signature spa treatment for two. All medical screening programs are conducted in selected leading hospitals in Bangkok – with the involvement of European centres of excellence, and, in conjunction with the Centre of Cardiovascular Prevention at Ferrara, Italy. For further details – www.ceo.health.com/oriental/oriental.html. Intelligent Spas’ latest report on Asia Pacific shows plenty of promise for the industry in the region. It also highlights the importance of the spa industry to tourism, including Thailand, where it brings in US$200 million a year. This does not include revenues from local Thai tourists. What impact the current turmoil in the world’s financial markets will have on the industry is another matter. More about this in coming weeks. There are about 3,500 spas operating in the region, generating some US$2 billion in annual revenues and employing more than 50,000. More than 60% of the 42 countries in the region are considered emerging or potential spa markets, “suggesting there are plenty of development and business opportunities across the region”. The full Regional Spa Industry Repiort Asia Pacific 2011 provides a brief snapshot of each market – “a useful tool to short list potential markets, where companies may wish to do business”.